Oh, boy... it's been awhile. We were traveling the past two weekends (to Notre Dame for my sister's graduation and Houston for another sister's engagement party), so the weeks have been flying. I squeezed a bunch of stuff -- work, life, friends, etc. -- into the days between trips, and now all of a sudden, tomorrow is June 1. How does that happen? During dinner, we chatted about Room -- quite the page-turner! The story is told from a five-year-old's perspective, which influences the language and makes the narrator a bit unreliable (in a good way). We often wondered what the adults in the story were thinking and feeling, a kind of fill-in-the-blanks technique that got us invested in the story. Though parts of the plot seemed far-fetched or questionable, we admired how the author portrayed the idea of a kidnapped-girl-turned-mother-in-captivity in a different way. 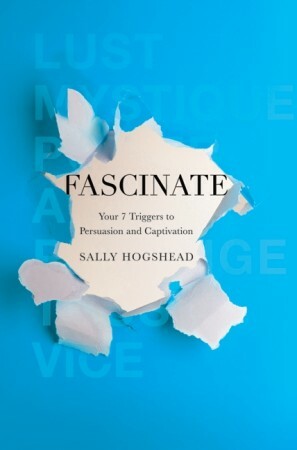 Next month, we're going in a different direction with a non-fiction read called Fascinate: Your 7 Triggers to Persuasion and Captivation by Sally Hogshead. I've heard a lot about this book among small business owners and entrepreneurs. I wasn't sure the other ladies would be interested, but when I filled them in on the premise, they suggested adding the book as our next pick. I read a majority of it on our flights to and from Houston... so I'm eager to see what everyone thinks, especially since there's plenty to think about from a non-marketing angle. And I took the test to discover what my personal fascination triggers are (very cool!). It will be really interesting to hear what the other girls' triggers are too. Sounds like a great book!! I'd love to hear your thoughts once you finish it.